Somehow, I ended up in Q Daily, the online Chinese magazine focusing on emerging technology and new design trends. "As the chairman of the Los Angeles nonprofit Ocean Conservation Society, Dr. Maddalena Bearzi, an Italian marine biologist, often travels to see her animal friends. 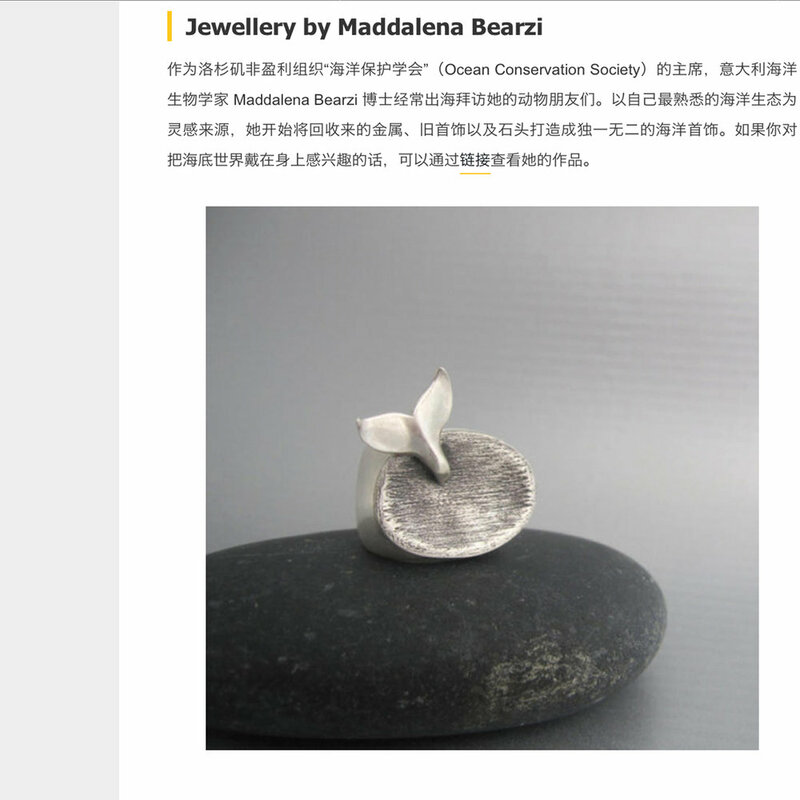 Using marine ecology as a source of inspiration, she began to recover metal, old jewelry and stone to create unique marine pieces. If you are interested in wearing the underwater world, you can view her work here." If you rather read it in Chinese, here is the article!